When some leaders wake up to reality, when they slowly start to notice that things are in fact meaningfully different from how they were before, we often witness a self-absorbed, I’ve just found Jesus and I need to tell you all about it, kind of thing take over. “Consumers who shop multiple channels are more valuable than single channel customers” they breathlessly announce at conferences. “Stop thinking about e-commerce as a channel” becomes the title of a newly released white-paper. “We need to differentiate ourselves on experience” the CEO implores a group of assembled executives. 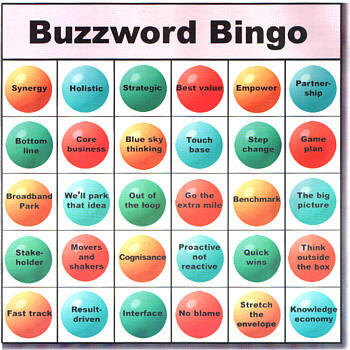 Suddenly everything is about “seamless”and “omni-channel” and “the single view of the customer.” Their sentences start to include a disquieting use of “integration”, “customer-centric” and “relevance.” Investor presentations and annual reports turn into games of buzz-word bingo. I hate to drag you out of your pink cloud, but just because you took a long time to notice, doesn’t mean it’s a recent phenomenon. Responding energetically to a totally foreseeable crisis does not make you a great leader. Pretending it’s new may prop up our ego or cast ourselves in a better light. Better late than never, huh? Pretending it’s new may buy ourselves some time with a less than savvy Board. What they don’t know can’t hurt them, right? Much of what passes for insight today has in fact been known for years if only we had taken the time to become aware, confront its import and accept the implications. It’s not new and we shouldn’t pretend it is. Of course, neither is this. Now obviously we can’t go back and fix all the should of’s and could have’s. But we can ask ourselves what of potential importance might we be missing right now? We can go into understanding what our fear causes us to avoid. We can accept that often our pretending creates the illusion of keeping us safe. Hi Steve, going back some years, do you remember when managers were buying PC’s? The days when it had to be IBM. It was a safe choice. Forget Apple then, even Compaq was a second class piece of technology. I also resonate with your view that there is a corporatised view of marketing. Especially as the ladder climbers within an organisation are raised from a management trainee within a monoculture, always viewing the world from the perspective of that company, When corporations were not as powerful as they are today, there was some kind of balance, but today the corporate sphere of influence is much larger. Why do we see retailers struggling with the new world. In the UK we’ve got Tesco and now Sainsbury’s wilting under the pressure. In the US I’ve read that many retailers (including McDonalds) are also closing stores. Is this partly because the people who have grown their business have moved on and what’s left are people who thrive on maintaining the status quo? Or is it that they are so absorbed within their own empire, they can’t seem to see outside of it? Previous Previous post: Who chooses desperation?